I am obsessed with leeks. And cashew sauces. 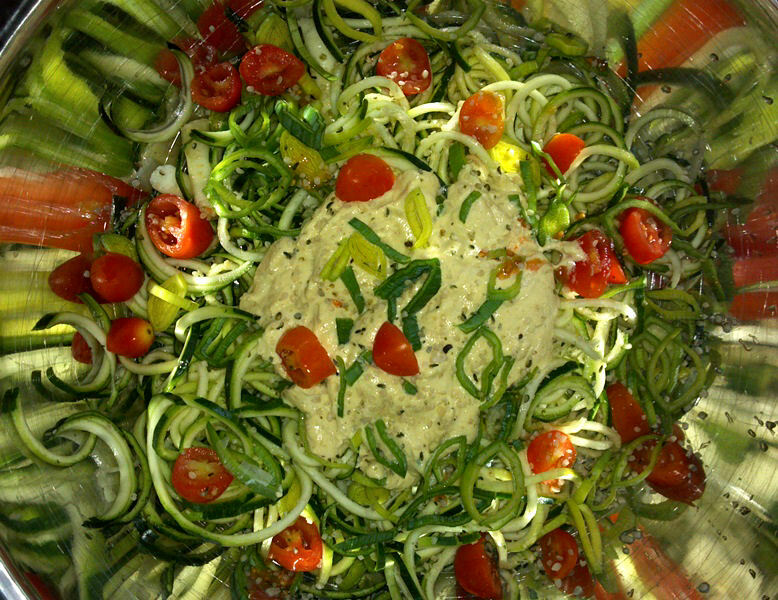 And zucchini noodles. In fact, I much prefer these over regular pasta noodles. 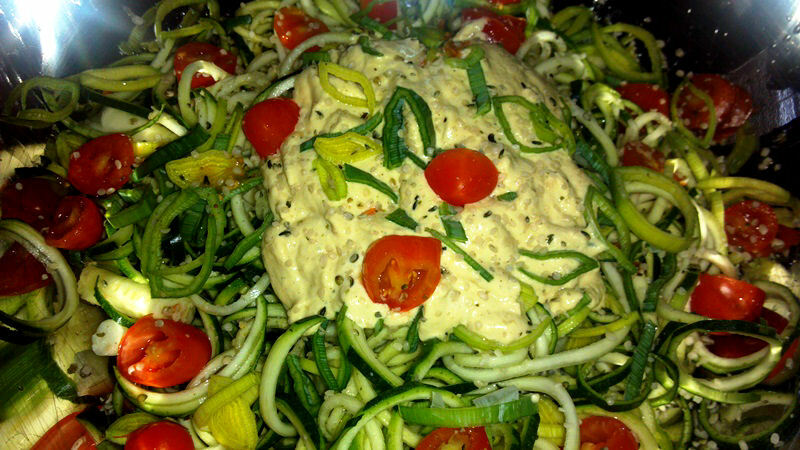 I wanted a new cashew sauce for my leeks and zucchini noodles, so I came up with a new cashew cream sauce, with a cheesy chicken flavor. You can find the recipe HERE, but I will also include it for you below. 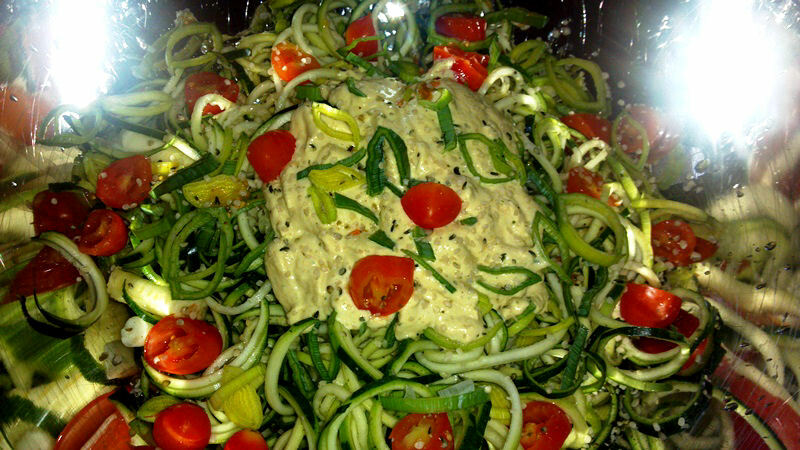 – 3 to 4 zucchinis, depending on their size and your apetite! 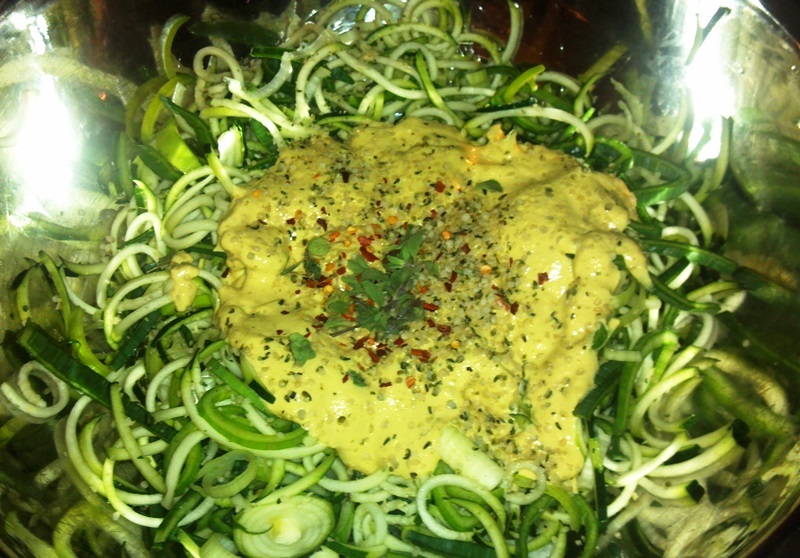 After the cashews are soaked, put them into a high powered blender along with the rest of the ingredients. Pulse/blend for several minutes, making sure to push the mixture around so that it is totally blended. The mixture should be smooth, creamy and smell amaaaazing! Pour the sauce over the noodles, top with your sliced tomatoes and mushrooms, and serve! That’s it guys! Super easy, healthy and grand! You can also mix in spinach if you want to throw in some extra greed goodness and pure protein to the mix. It tastes great!